Quick and easy ideas to implement your simpler life - today! There is no shortage of 'lifestyle' books and self-improvement information on the market today, but this wonderful audio offering stikes me as the most common-sense and enlightening piece of advice one could find. It contains simple, easily absorbed and eminently sensible guidance on how to see yourself with clarity: your own personality, aims, ambitions, strengths and weaknesses. It 'holds your hand' as you set about gently putting yourself on track towards a happier, more fulfilling and rewarding life. It is often so easy to provide advice for others, but seems almost impossible to implement fundamental changes in one's own life. Lucy McCarraher and Annabel Shaw have the experience and ability to provide an invaluable helping hand. Don't let the opportunity slip by. Your life is precious and you ARE adaptable! The thing is it sounds simple, having a simpler life. We all think we know what it means, but do we really? 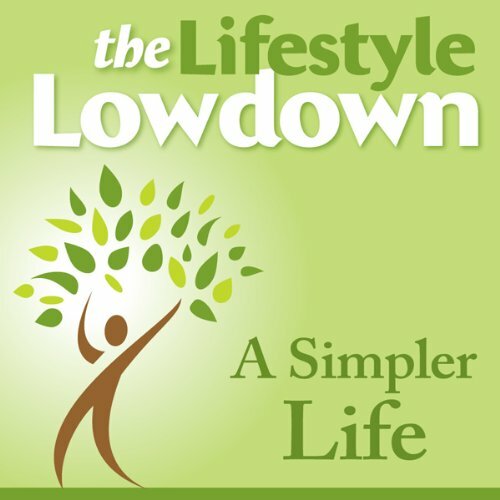 Lucy McCarraher and Annabel's Shaw's Lowdown on A Simpler Life gives you more than you thought you already knew, with plenty to think about in an easy-to-listen-to format. I tuned in whilst doing the ironing. Simple! The final thing is, once you get what it's on about, you can't un-get what you've heard and your life will start to change in wonderful ways. So get it now! Generally speaking I'm a cynic about 'lifestyle' books, although they're addictive reading, of course. This one, however, is both plausible and entertaining - and may even help towards that elusive simple life. There is some excellent advice and good ideas, well presented and written in an eminently readable style which is authoritative but never bores. Well done, McCarragher and Shaw: definitely one of the best in its genre. I read a lot of self-help books, and this is a prime example of the useless books that just gather up a whole lot of nice-sounding nonsense but has nothing concrete to back it up with. The simplest things in life are usually those things that outwit the best of us. How do we fnd the time? How do we unclutter the clutter? Where do we start? Who can lead us out of our stubborn refusal to see sense and make the change? These are questions we all have, at some time or other, milling around our driven 21st century minds. The wonderful thing about the harnessing of this book and the download formula itself, is that it leaves you standing without excuses. Just press 'Play,' listen and simply allow yourself to be led. The commonsense lessons are there. The ability to press 'Pause' during the inevitable intermittent interruptions is there. The comfort of your own pillow at night whilst nodding softly in agreement and finally off to sleep is a wonderful release. And the exercises that lead you out of the maze of your own boggled mindscape aren't so unrealistic or demanding that they can't be achieved. A simple oasis. What we've all been looking for in our manic 24/7 lives. Buy with confidence.